Set during Inspector Rutledge's time in the Great War, Charles Todd's short story introduces a born killer. It's World War I, and young Glaswegian Dougal Kerr is a new recruit in the British army. Dougal has no family and no past, but his easygoing demeanor belies his cheerless upbringing. There's only one thing that gives Ian Rutledge pause: Dougal is very good at killing, and he doesn't seem to mind it at all--in fact, he seems to relish it. In wartime, how does one tell the difference between a remorseless killer and "a guid soldier"? 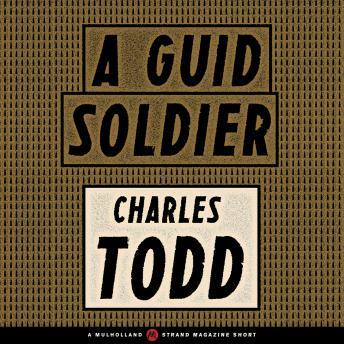 "A Guid Soldier" by Charles Todd is one of 20 short stories within Mulholland Books's Strand Originals series, featuring thrilling stories by the biggest names in mystery from the Strand Magazine archives. View the full series list at mulhollandbooks.com and listen to them all!